Calocephalus lacteus is a small spreading plant with small, globular, whitish flower heads in late spring and summer. The photo was taken in early January in Canberra Botanic Gardens. 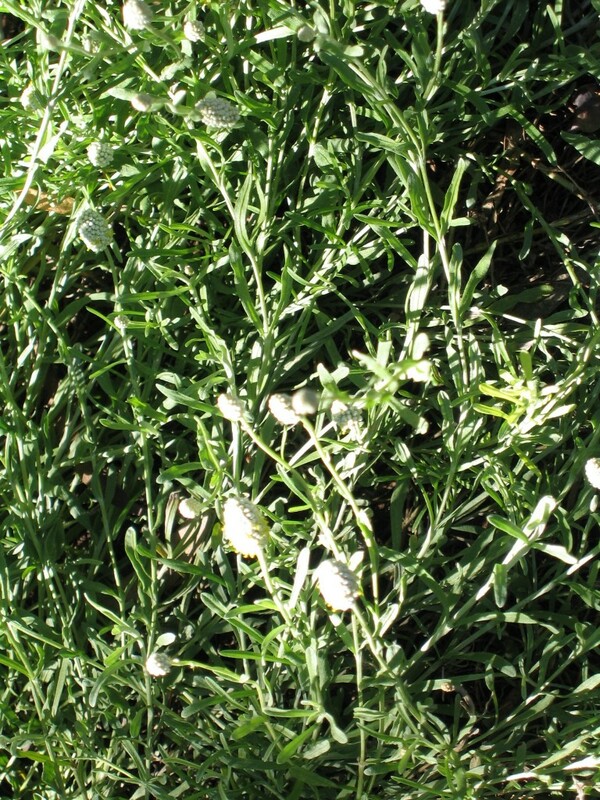 The plant suckers, growing 10-30 cm tall by 1-1.5 metres wide. It is hardy in most situations, prefers moist soil but withstands periods of dryness. 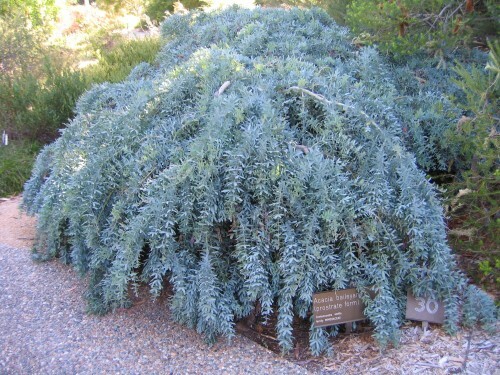 It grows in full sun to part shade in sand loam or clay that is well drained. It would need some water during the summer in low rainfall areas. The prostrate form of Acacia baileyana is a lovely form of the taller tree. Even without flowers, the dense, grey green foliage is attractive in a garden setting. It cascades over slopes and follows the contour of the ground and it is excellent for covering large areas as a ground cover as it grows 30-60 cm tall and 3-4 metres wide. 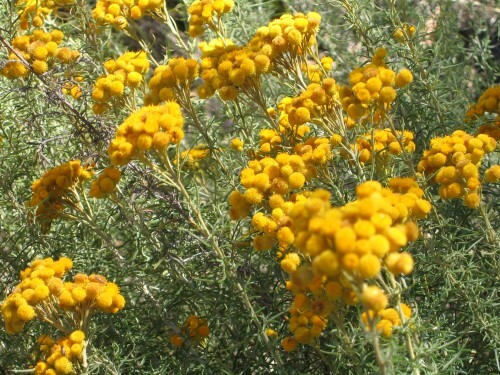 It has bright yellow flowers from winter to spring. 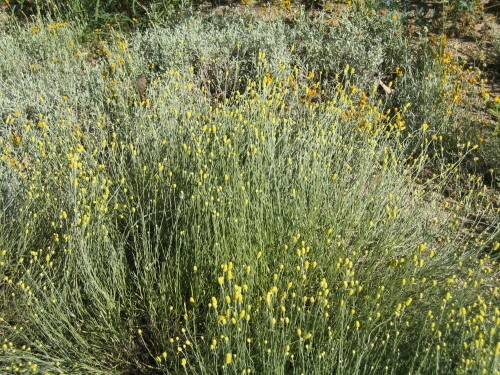 It is a very hardy plant in most situations, withstanding dry periods and growing in full sun to part shade in sand, clay or loam. A photo of the larger form in flower can be seen here. A cottage garden is the ideal garden for many of the Australian native daisies. Chrysocephalum semipapposum (Clustered Everlasting) was growing in Canberra Botanic Gardens in a wild bush gardens which could have been turned into a cottage garden with its random planting arrangements. 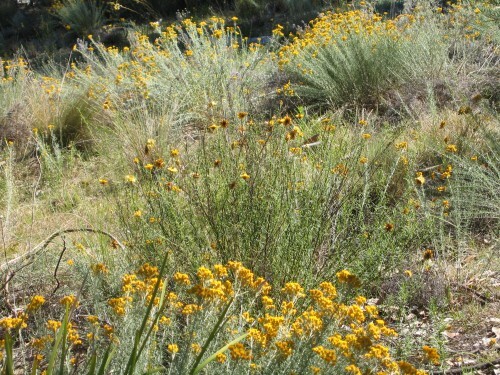 The photo shows the ‘natural’ looking effect that can be achieved by planting several plants of a species in an irregular grouping, with other plants of different form, leaf and flower colour, and height. This is one of my favourite plants and it is a member of the daisy family. 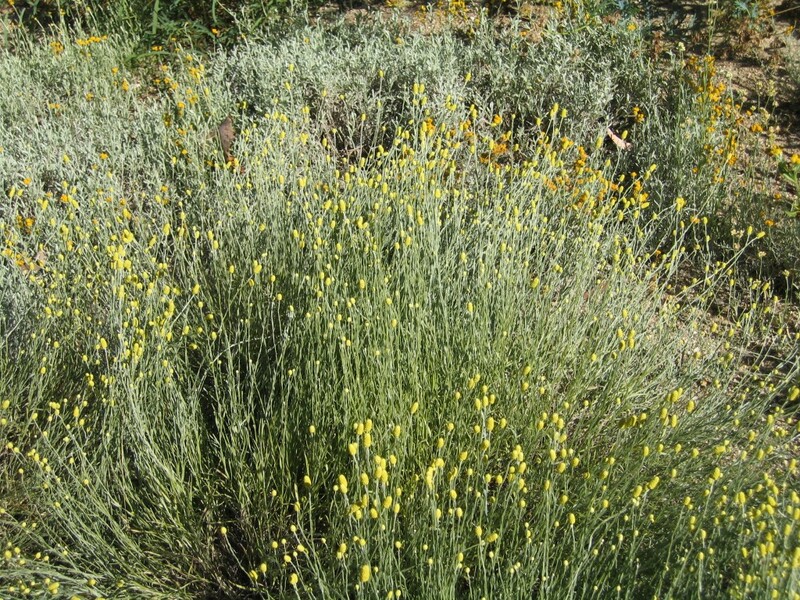 Members of The Daisy Study Group had several forms of Chrysocephalum semipapposum growing. Chrysocephalum used to be Helichrysm. It is a variable species with grey to green leaves which vary in width from quite fine to a coarser leaved form. It has clusters of small yellow flowers, which, if picked quite early in the flowering stage, will keep as an everlasting. If picked to late the flower will continue to open and the seeds will fluff out. The plants grow from 50-80cm tall and make clumps up to a metre wide. Flowering is from Spring through to autumn so they are good value in the garden, especially in a cottage garden setting. The plants shoot from the bottom, so when the first signs of shooting appear, it is time to chop the clumps back to the new growth. 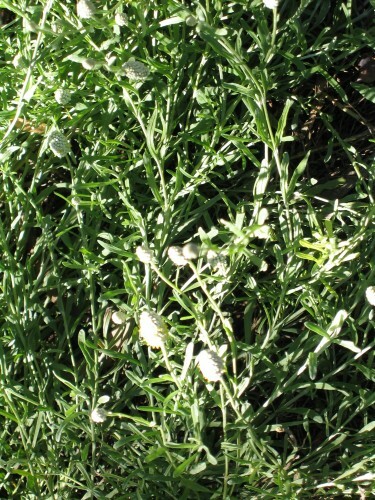 This plant is hardy in most situations and grows in full sun to filtered or part sun. It withstands periods of dryness but does best with extra moisture. The plant is suitable for heavy clay, loams and sand.